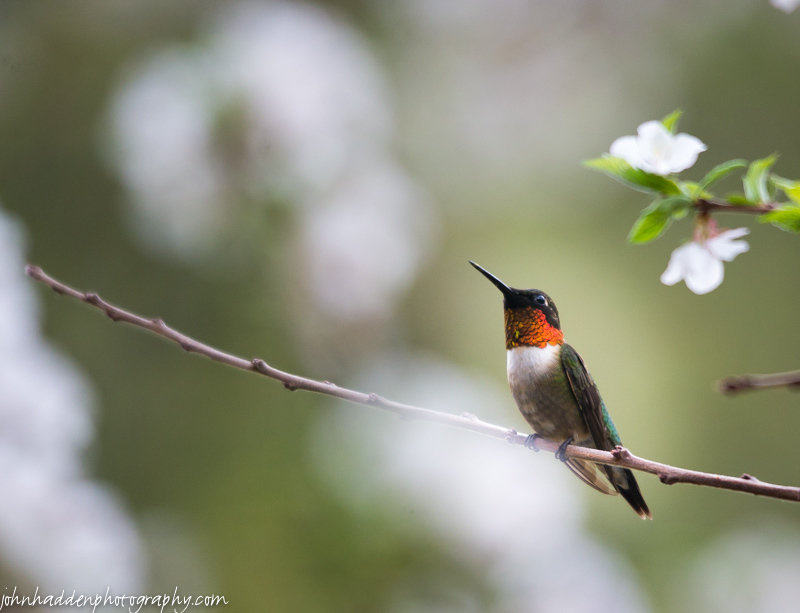 The ruby-throated hummingbirds are back! This little fellow was buzzing around our back deck where the Manchu cherry bush is in full bloom. He paused ever so briefly on a branch displaying is stunning throat feathers. Nikon D600, Sigma 120-400mm lens @ 400mm, ISO 800, f/5.6, 1/500″ exposure.